May 3 — A total of 11 short documentaries created by elderly filmmakers titled “Digital Histories,” will be shown at the CGV Cinemas in Koreatown at 4 p.m. Tickets are free. 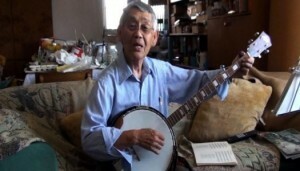 The films were directed and written by the students and members of the DISKvory Center in Little Tokyo, a non-profit organization that provides training to seniors and other adults on producing short videos. The film screening will be held as part of the 27th annual Los Angeles Asian Pacific Film Festival organized by the Visual Communications. The films are: Popo’s Garden (7 min.) by Frances Ito; Hideko’s Accident (2 min.) by Hideko Ibaraki; The People We Love (8 min.) by Lora Nakamura; A Story of Hope (8min.) by Michi Tanioka; Summer Camp (7 min.) by Jeannie Wong; What’s Up In The Future! (2 min.) by Chickie Otani; Founding A Filipino Club (7 min.) by Arlene Maeda; What To Do With My Koto (6min.) by Pat Naritomi; Family Restaurant Experiences (7 min.) by Beverly Woo Shue; Mudslide (6 min.) by Jean Tanaka; and Photos From My Dad’s Early Years (4 min.) by Gerry Chow. The CGV Cinemas is located at 621 Western Ave. in Los Angeles. For information, call (213) 680-4462 or visit www.vconline.org.